Are you frustrated by low blog traffic? Don’t worry– traffic isn’t rocket science, and there’s no need to reinvent the wheel. In this guide, we’ll share 25 proven strategies (with 7 case studies) to increase your blog’s traffic by 1064%. Once you understand these simple truths, you will no longer be intimidated by huge blogs with tons of traffic. Instead, you’ll be armed with the know-how to grab that traffic for yourself. First of all, there are only two types of traffic: organic and paid. Organic traffic is traffic that you get naturally without having to “force” it. The biggest source of organic traffic is search traffic: the traffic you get when a person types a question or a keyword into Google, your blog post comes up in the results, and they click on it. However, organic traffic can also include referral traffic (when someone clicks on a link to your blog from another website), or direct traffic (when someone types your URL directly into their browser, or clicks on a link in an email). Paid traffic is traffic that you “force” with advertisements. One of our favorite types of advertising is Facebook advertising. But paid traffic can also include Google AdWords, banner ads, Twitter ads, and more. Because there are these two types of traffic, you never truly have a traffic “problem”. That is, you can always pay for traffic whenever you need it, especially in the beginning. However, organic traffic is an important part of any long-term content marketing strategy, so don’t neglect it (you’ll see why later in this article). Paid traffic is obviously the surefire way to get traffic no matter what. But how simple is it to get organic traffic? Organic search traffic isn’t nearly as complicated as you may think. That your content is the best. That your content is the most relevant. To show that your content is the best, make your content the best! Outshine your competitors with better articles, and prove that your content is the best by asking other blogs to share it. To show that your content is the most relevant, optimize your posts for relevant keywords. OK, now you know the 2 types of traffic, and the 2 things you need to get organic traffic. So how do you integrate these different traffic sources to increase your blog traffic, both today and for years to come? The blog traffic strategy we are about to share with you is simple. But while simple, most bloggers don’t think to grow their traffic this way. 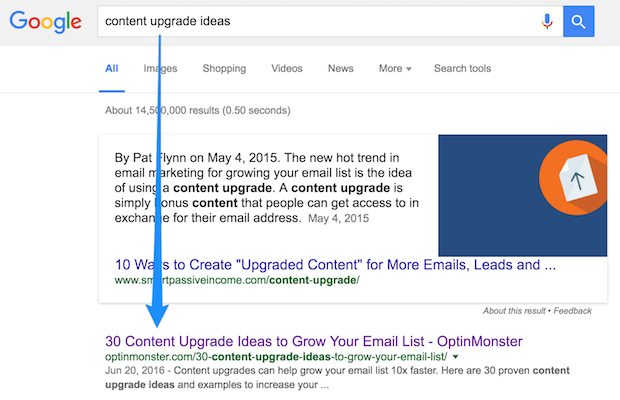 This 5-step strategy has grown the OptinMonster blog very quickly. As you can see this post ranks well for several searches related to content upgrades because we focused on creating the best possible article on the topic, so users can find everything at once rather than creating multiple articles on content upgrades making it harder for users to find all the information they need. Google has a much easier time indexing your content, and understanding what content is the most important, when you crosslink your posts. Crosslinking simply means that your new blog posts include links to older blog posts. We put a big focus on adding as many links to our pillar content as possible, so it has an easier time ranking in the search engines. Plus, unlike backlinks, crosslinking is entirely within your control. It’s the lowest hanging fruit. Backlinks (links on other websites pointing to your website) are a very important SEO ranking factor in Google. That’s because Google looks at how many backlinks you have (and how authoritative those backlinks are) when determining the importance of your article. Backlinks are harder to get than crosslinks (obviously), but they are absolute gold for your search rankings. Fortunately, Syed has a simple process for link building. When he shared this insight with BuzzSumo, they gained over 200 organic backlinks with this strategy! First, track your brand mentions. You can set up an alert with Google (there’s a tutorial in this post), or you can use BuzzSumo to monitor all mentions of your brand. The ones that have no link will be highlighted. Next, email the authors of the posts and thank them for the mention. Then ask them if they wouldn’t mind linking to your site. In Syed’s experience, most authors say “yes”… after all, they were the ones who mentioned us in the first place! Turns out, many people will mention you without thinking to include a link, and they are usually happy to oblige. As you can see, our traffic strategy thus far has been primarily focused on organic, search traffic. On the other hand, when you stop paying for ads, the traffic stops. That’s why we love organic traffic. But– we leverage paid traffic as well. Paid traffic is excellent for boosting new content. 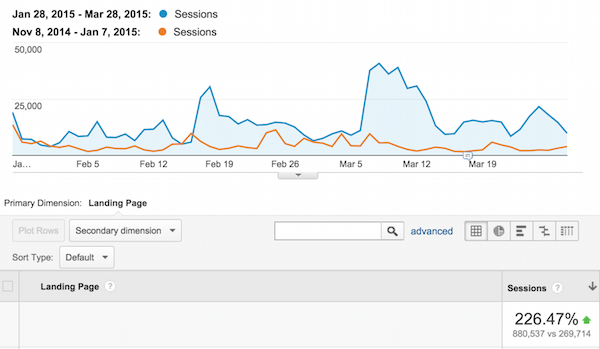 When you force traffic to your new blog posts in a short span of time, it creates momentum. People start to share the post on social media, which helps Google to see that your new post is important. So while we don’t rely on paid advertising, we do use it to our advantage. Don’t forget direct traffic from your email list. Aside from paid ads, don’t forget the traffic source that you (hopefully) already have– your email list! While driving traffic to your blog posts via your email list won’t directly result in new leads, it’s another good way to boost traffic to your new content and build up momentum. Besides, your blog content is really important for nurturing your leads and turning them into customers. 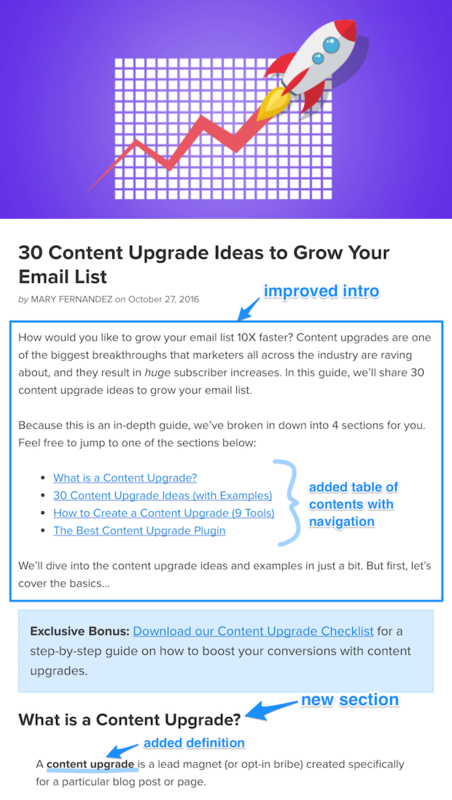 Forgetting to email your list on a regular basis with fresh, new content is like forgetting to water your plant– it will die. OK, now that you know our 5-step blog traffic process, we’d like to share 6 more case studies with you from other businesses who have also successfully increased their blog traffic. These approaches highlight important elements that you’ll need for any content marketing strategy, so add these tips to your blog traffic arsenal when following the 5 steps outlined above. Emil Shour, who runs the content marketing and SEO at SnackNation, used this technique to generate 41,992 pageviews, a #1 ranking and $100K in monthly recurring revenue. Brian Dean calls this the “skyscraper technique”. 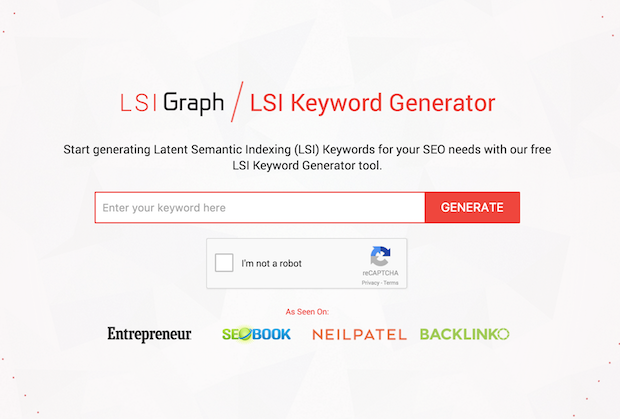 First, Emil did some keyword research with Google’s keyword planner tool. 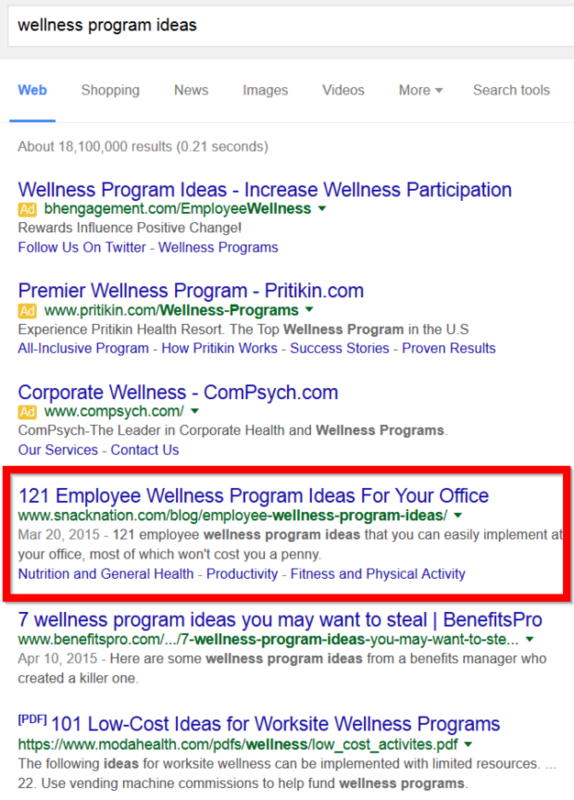 He determined that the query “wellness program ideas” is a keyword that his customers search for every day, and it also has a high suggested bid. Next, Emil looked for content that was already ranking for that keyword. 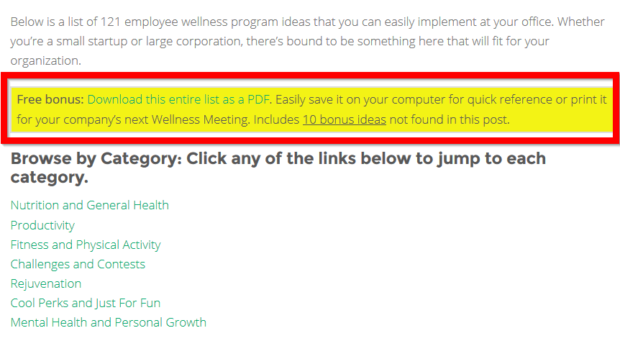 He found that most of the results on page 1 were lists of different wellness program ideas, but they weren’t very detailed, they lacked visual content, and they were quite boring. He could do better. Now that Emil knew what keyword he wanted to target, and he knew the strengths and weaknesses of his competition for that keyword, he set out to create something better. First, he wrote a list post, but he made sure that his post listed more wellness program ideas than any other guide. While the other posts included 5-100 ideas, Emil’s post included 120. Then, he made this long listicle even better by splitting the ideas up into 7 different sections. This made it easier for reader’s to jump to a particular section. Next, Emil added eye-catching images and helpful videos to make his content more visually appealing. Finally, he made his copy casual, fun and interesting. Now that Emil’s epic post was live, it was time to promote. 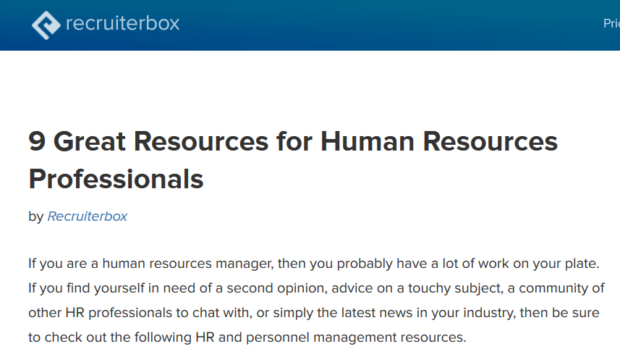 First, Emil found blogs that wrote about employee wellness and sent them a message asking if they had any upcoming roundups in the works, because he has some great original content that would be a great fit for their site. These emails led to some quality, contextual backlinks. He also searched for bloggers that wrote about employee wellness, human resources and other related topics, and found high-quality pieces of content like this one. He emailed the author, offering his article as a great addition to an upcoming blog post on the topic. This resulted in another great backlink, in the form of a roundup post. Then, Emil emailed the brands that he mentioned in the post, plus any experts who contributed to the post, and those people shared the post on social media. Finally, now that he had some momentum going from all the social shares, Emil did some research to see who linked to the top 50 results for his keyword. He used Ahrefs Site Explorer to find the backlinks for each of the top 50 articles. Then, he emailed each of those people to let them know about his brand new, superior article. Here’s an example of an email he sent. These emails resulted in backlinks which pushed Emil’s guide to #1 in the search results, above all his competitors! However, Emil didn’t stop there. Remember, a #1 ranking in Google is great and all, but it won’t translate into revenue for your business unless you have a solid lead generation strategy. So, Emil took full advantage of his #1 ranking by creating a content upgrade using OptinMonster. His content upgrade was simply a PDF version of the blog post. He very smartly used a 2-step optin (using MonsterLinks), because content upgrades + 2-step optins are proven to boost conversions by as much as 785%. Want a similar 2-step optin for your blog? Start using OptinMonster to convert website visitors into subscribers and customers. By adding the content upgrade, SnackNation went from 20 new subscribers per week to 59 per week– that’s a 195% increase in new leads, which in turn resulted in $100K in monthly recurring revenue. 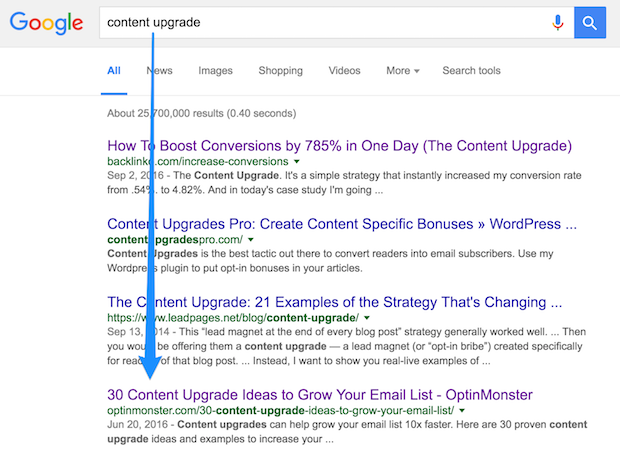 Key takeaway: it pays to rank in Google, and then leverage that ranking with content upgrades. Using a guest blogging campaign for blog traffic generation can be a good strategy, but it’s important to go into it with clear goals in mind. It is important to note that Bamidele didn’t expect to get much of any traffic directly from these guest posts. His main goal was to get quality backlinks, so that his own posts would rank in Google. Then, he hoped to get long-term search engine traffic as a result. Now, I know what you may be thinking… Didn’t Matt Cutts say that you shouldn’t guest blog as a way to gain links? Well, yes he did, but Matt was talking about spammers– people who write low quality guest posts for the sole purpose of getting easy backlinks. So unless you are spammer, you don’t need to worry. Just write quality posts, or hire a good ghost writer to write quality posts for you. That being said, let’s take a look at Bamidele’s results. As you can see from the screenshot below, his weekly organic traffic for a year before the guest blogging campaign never quite reached 3,000 visits. 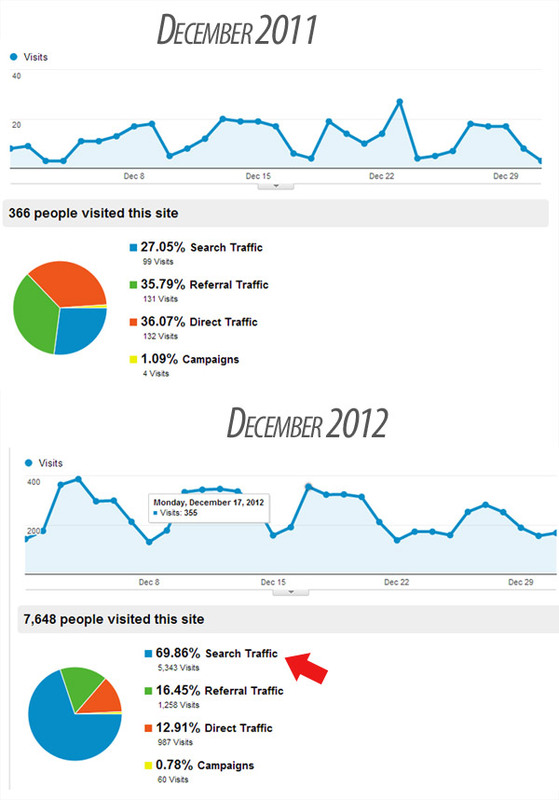 However, a year after the campaign, the organic traffic had grown to somewhere around 2,500-5,000 weekly visits. Bamidele reports that the site averaged a total of 139 search engine visitors a day one year before the campaign, and an average of 477 search engine visitors a day one year after the campaign. 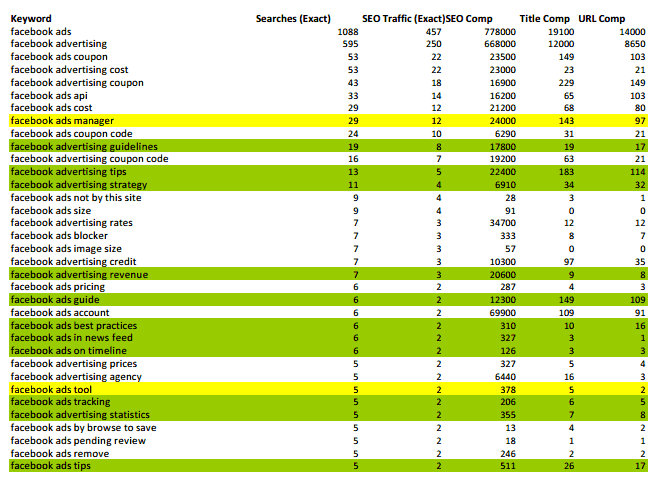 He also reports that no other SEO tactics were used, just this one guest blogging campaign alone. 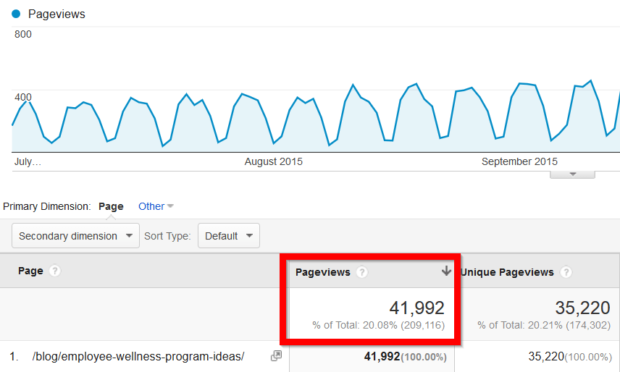 So that’s a 342% increase in search engine traffic from taking one week to write 31 guest posts. Now, you may not have the time to take an entire week just to write guest posts. If you do, great. If not, hire someone to do it for you and reap the benefits for a long time to come. Key takeaway: when guest blogging, increase your search engine traffic by writing quality content for authority blogs in your niche. While keeping search engines in mind, it always pays to focus on people first. If you do, Google will reward you. In an effort to increase their blog traffic, Canva knew that they needed to improve the quality of their content. But first, they needed to find out what the best content on their topic actually looked like. So, they studied their competition. Using BuzzSumo to find the most popular posts in their industry, they found the most popular topics and the type of content that worked the best. Namely, in the design space, they found that there is more demand for free templates, icons and color-combinations than for information on how to create them. They also found that the best content ranged between 2,000 and 2,500 words, and that case studies performed well. This information was important because before they were focused on writing tutorials, which wasn’t what the market really wanted. Next up, Canva surveyed their own readers to find out what they wanted to read about. Rather than a traditional survey, they used their welcome email to ask new subscribers about their biggest challenge. A lot of people responded, and the answers helped them to make their content genuinely helpful. When it came to actually creating the content, Canva followed best practices to write the highest converting headlines possible. However, sometimes they still missed the mark. For example, one post they wrote was originally entitled, “Why Steve Jobs Took Long Walks and Why You Should Too”. This didn’t perform very well. So, they decided to change the headline and repost the article. The new headline, “Why Everyone From Beethoven, Goethe, Dickens, Darwin To Steve Jobs Took Long Walks and Why You Should Too”, did much better… in fact, it’s received more than 70,000 shares since the headline change! Canva made another research-led decision to use more examples and case studies in their articles. For them, this meant a shift away from tutorial based articles, and a greater emphasis on how a professional designer would implement a particular web design principle. This shift demonstrated their credibility and their authority in the design space. You can do the same, no matter what industry you are in. Simply make your posts definitive by including concrete examples and case studies (like what we’re doing in this article). Finally, Canva realized that visual content gets shared more. In fact, articles with images get 94% more views than those without. Canva already knew that images were important. But while studying their competitor’s most popular content, they were surprised to see just how many images they included. So, they decided to systematically increase the number of images in their posts to see the effect. Sure enough, the more images they used, the more their traffic increased! 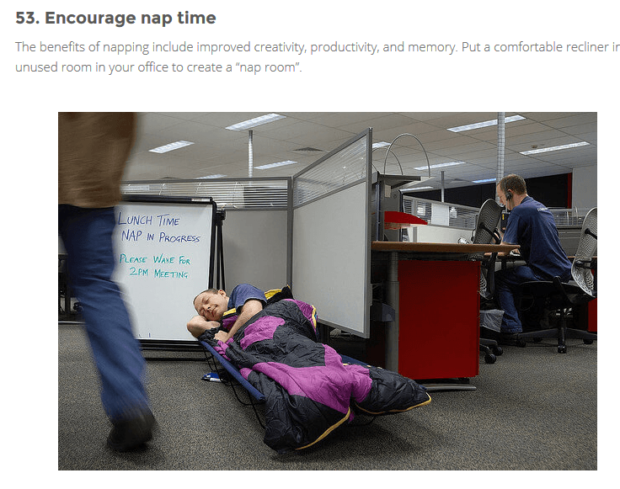 They ran this entire content experiment for 60 days, and the end result was a 226% increase in traffic. As an added bonus, their traffic from social also increased by nearly 500%, even though they’d all but ignored their social media growth strategy during that time! Key takeaway: make strategic changes to your content marketing strategy based on what people really want, not what you think they want. When AdEspresso started working to drive more organic traffic, they started with keyword research. They used Moz, but you can easily find relevant keyword ideas using Google’s free keyword planner. Next, the AdEspresso team simply went down the list and started turning keyword ideas into blog post topics. For example, one of their keywords was “facebook ads on mobile”. Since AdEspresso helps to create and analyze mobile Facebook ad campaigns, they came up with a blog post called, “5 Tips for Rocking Facebook Ads on Mobile Devices”. For SEO purposes, they made sure to include the keyword in the URL of the blog post. Next, AdEspresso made sure to include their keyword in the body copy of the blog post itself. Include your keyword frequently, but naturally. Don’t stuff your keyword into the post by putting it in places where it doesn’t make sense… but if it makes sense to put a keyword there, do it. For example, one of their keywords was “facebook suggested post”. Now, they could have written, “When putting together a suggested post on Facebook you should…” however, that doesn’t include the exact keyword. So instead, they adjusted their body copy to read, “A Facebook suggested post should include…”. This way, you are intentionally including your keyword, but in a natural way. As research shows, the more often you post, the better your customer acquisition will be. 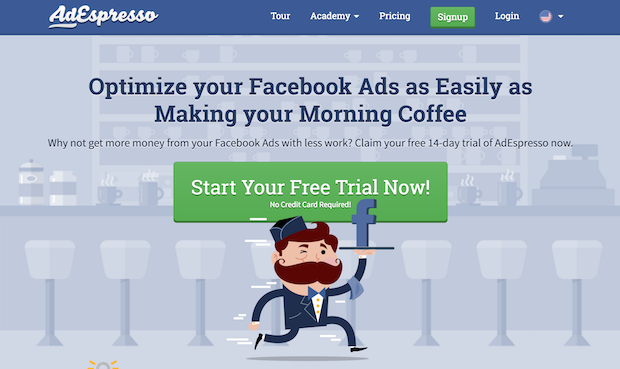 However, as a small startup, AdEspresso decided on a twice-per-week publishing schedule. This was the maximum amount that they could handle, but the main thing is that they were consistent: every Tuesday and Thursday they published a new post. Key takeaway: strategically plan out every piece of content with search engines in mind, and publish consistently. When Luke Summerfield was hired to help develop Savvy Panda’s content marketing strategy, the very first thing he did was to invest in his education. He got Hubspot VAR Inbound Marketing certified, Google AdWords and Google Analytics certified, Hootsuite certified, and completed about 3-4 other marketing related educational programs. With this new wealth of knowledge and strategic mindset, he set out to increase their website traffic. 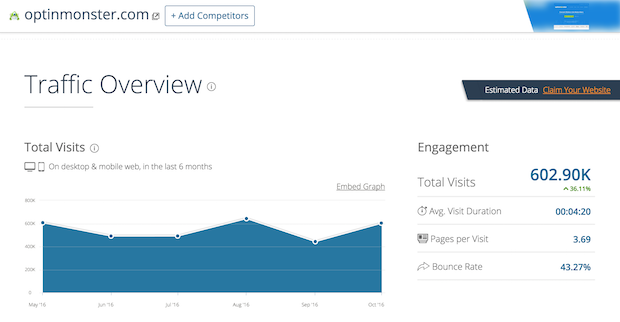 Their traffic generation strategy started with their blog. This proved to be the key to their website’s and overall business’ growth that year. In addition to their blog, they wanted to provide some great resources for their website visitors. So, they created a premium download section: a simple page filled with different lead magnets. The lead magnets included educational ebooks, webinars, check lists and white papers. This premium content not only provided visitors with irresistible incentives to join their email list, but it also added a lot of value to their website. As they were rolling out their blog and premium content, Luke made sure that they were also following SEO best practices. They optimized their blog posts, started building quality links, and guest posted on other well-known industry websites. 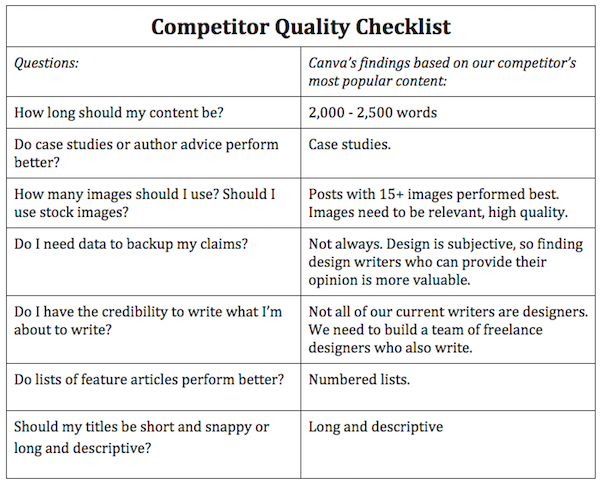 Recommended resource: to make sure you are optimizing your blog posts properly, check out our on-page SEO checklist. 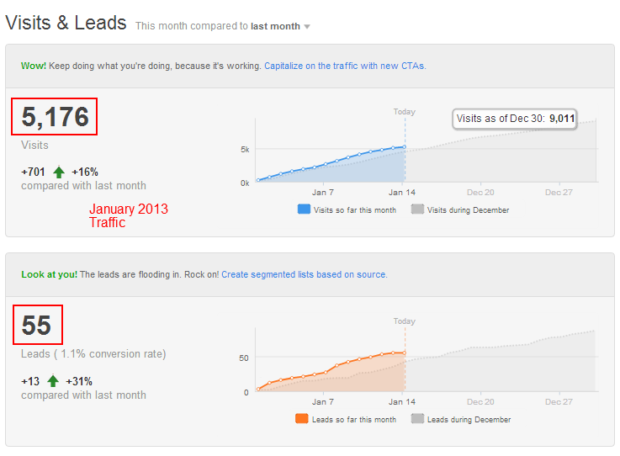 Finally, the Savvy Panda team became more active in their communities (Joomla and Inbound Marketing). They joined Joomla working groups, wrote for Joomla community magazine, organized Joomla user groups, and got on the Joomla marketing team. They also started actively participating in HubSpot webinars and round-tables, and started an Inbound Marketing user group for locals. They even attended in-person events, either as a speaker or an attendee. Participating in these events and communities allowed them to network and promote their website, as well as continuing to grow their knowledge with further education. As you can see, they received very few visits before. In fact, most of their visits were from direct traffic (i.e. the people who already knew about them). However, the following year is a different story… they went from 27.05% search traffic to 69.86% search traffic! But did that traffic convert into leads? Yes it did! Before the new strategy, they were getting about 20 new sales qualified leads per month. One year later, they were bringing in 100 new sales qualified leads per month (which was more than their sales staff could keep up with)! Key takeaway: take the time to study digital marketing if you really want to succeed. We have a free beginner’s guide here (no optin required), which is essentially an entire mini course on how to generate leads and sales online. In this last case study, we’ll look at how you can substantially grow your blog traffic simply by being prolific. How long does your business need to be blogging before you will start to see an ROI? They were really curious to know. Rumor had it that 50 blog posts was the magic number. So, they decided to put that number to the test. Now, they could have decided to write one blog post per week for a year, or once per day for two months. However, they decided to get aggressive: they would publish 50 blog posts in just 25 days. That’s 2 new articles per day, every day, for 5 straight weeks. 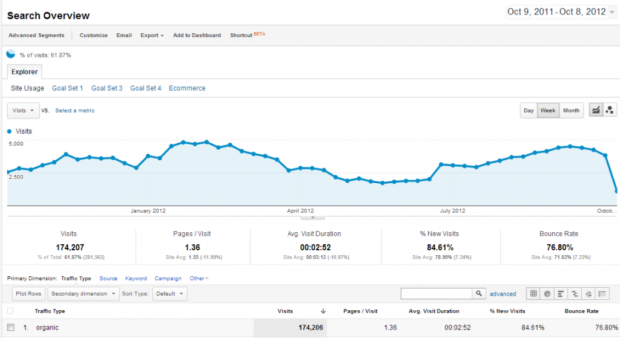 Because they were publishing so frequently during the 5 weeks, Google was crawling the site at a more frequent rate. This meant that new blog posts were ranking much quicker. But the best part? Their search engine traffic from long tail keywords continued to grow, even after the aggressive blogging period had ended! Of course, Tresnic Media knew that simply writing the content wasn’t going to cut the mustard. They would have to also promote that content if it was going to be successful. So, once an article went live on the site, they would share it via Facebook, Twitter and Google Plus. They also saved it to Delicious and StumbleUpon. And depending on the topic of the post, it would also be shared in different, relevant LinkedIn Groups, with a teaser description and a question to the audience about their own experience. Immediately, they saw an increase in traffic due to social sharing. The key here is that they created discussions in the right online communities. The more comments around a particular discussion, the more eyeballs got on the content, which drove more traffic, creating more comments, and so on. It was a mini viral effect. Now that their traffic had grown significantly (at the end of the 5 week period), Tresnic Media was at a 438% traffic increase. Their blog was poised for it’s first real spike. And guess when it came? On the “magic number” blog post #50! For their 50th and final blog post during the aggressive blogging period, they wrote a wrap-up article going over all the details of this particular case study. People loved the case study, and so the article gained popularity very quickly, and the viral effect took off. On LinkedIn alone, there were over 100 combined comments in 3 or 4 different discussions surrounding the article. Once this “magic” blog post started going viral, it also started building more backlinks because people were talking about it on their own blogs. 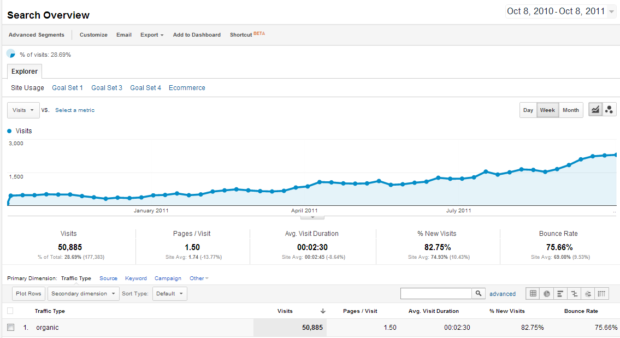 About a month later, their traffic had increased from 438% to 1,064%! Key takeaway: blogging frequency can create momentum in the search results and within social communities, priming the pump for viral success. That’s it! We’ve covered 7 case studies, and 25 proven blog traffic strategies. Create the best content for the user first (with search engines in mind), and you’ll have traffic. Turn that traffic into leads and customers, and you’ll have revenue. Now it’s up to you. First, follow the 5 steps from Case Study #1 to lay the foundation for tons of traffic. Then, follow the remaining tips to really run with it. Recommended Resource: Be sure to check out our Ultimate Guide to Growth Hacking for more strategies, examples, and tools you can use to skyrocket your business. Happy to help, Arif. 🙂 Check out our recent article on measuring content marketing ROI. It’s full of useful tips. Nice write up. I will apply some of this. Very very nice article to help for web traffic.